Welcome and thank you for visiting our website. Our mission at Bible Pathway is to gather Christian resources together for the use and support of our Christian Brethren. We will be gathering resources from several areas such as Bible Software, Audio Bibles, Tracts and other resources. We will be adding sections on Christian book reviews, software apps and other tools that are useful in our daily growth. We will also have a page of links to other Christian ministries and Church websites because we greatly believe in supporting one another. Each section of this website will either have a discussion or comments section to welcome input from you the viewer. Not only do we welcome input we greatly encourage input, suggestions and discussion from all. This website was created and intended for the use of all Christians so that we may learn from and support one another in our daily ministries. As it is stated in Matthew 18:20 "For where two or three are gathered together in my name, there am I in the midst of them." 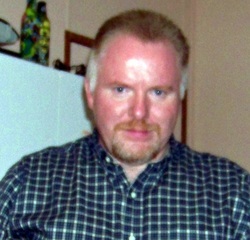 Hello my name is Michael L. Adams and I am the Editor of Bible Pathway website. I have several years as a desktop support and computer repair technician. I have worked in a large nursing home and currently run a small computer repair business as well as looking to expand my career into another position. 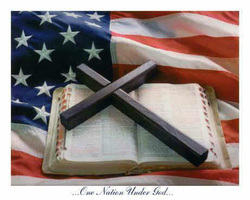 Most of all and the most important is that I am a Christian who believes in God and the great need for this country to return to God and the foundation it was founded upon. I have started this website to gather Christian resources together for the use of all God fearing Christians. I hope to be able to gather various Christian resources together in a central location so that it is easy for people to find and utilize. We will be presenting content from Preachers, Singers, writers, software developers and many other sources. We highly encourage each and everyone to input their suggestions and thoughts of any kind. We want to develop sections of the site to be discussion forums for each one of us to learn from one another. God shows important things to each one of us as we go through our unique situations in life. I believe it is important to share these thoughts and revelations with each other so that we can learn from one another and this is one of the main missions of this website. Thank you for visiting and may God Bless each and every one of you! Please feel free to email me at mikemobile68@gmail.com at any time.